Habits for Excellence – Yawn. Been There. Creating ‘habits’ for excellence is hot topic. Make your bed as soon as you get up. Put things back in their place when you’re finished with them. Pick up clutter every night. Yawn. Heard it, tried it. Hate it. One suggestion I do like is… Become Enthusiastic. Why don’t more of us do it? Habit. 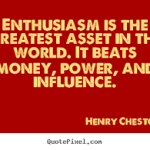 How can we find a way to be more enthusiastic? Work at it. Set it as a goal. Understand its power. 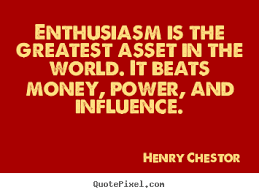 Enthusiasm doesn’t look the same in every person. Some might stand up, shift their weight from foot to foot; others might get louder. There isn’t a formula. 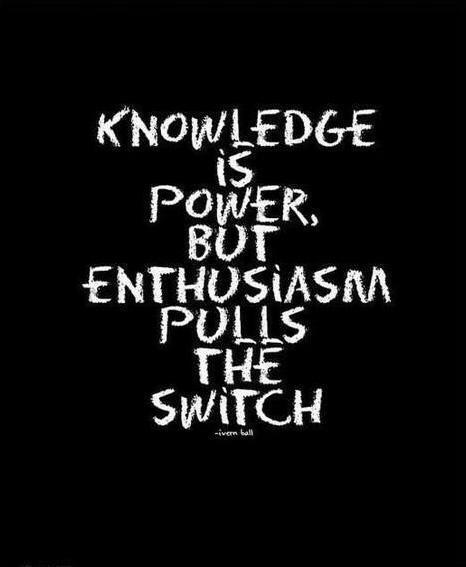 Pay attention to how YOU show enthusiasm and then harness that focus and attention when you want it. By the way, enthusiasm does not guarantee success, but it’s makes the journey more fun. And while some people might mock us, do we really care?